The Director General of NACA, Dr. Sani Aliyu has said that in order to ensure an effective and sustainable national response, there is a need to have a basket of funding by both the private sector and government at all level. 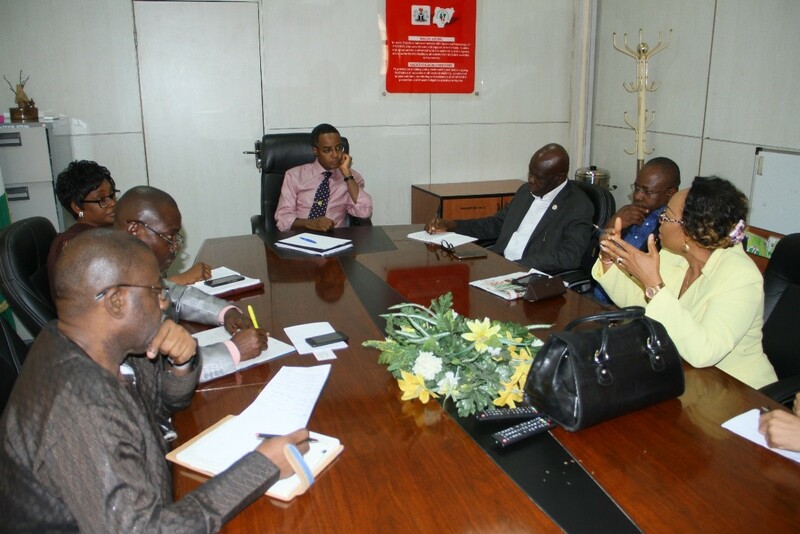 The DG made the call when some executive officers of Nigerian Business Coalition Against AIDS (NIBUCAA) paid him a visit in his office on Thursday, March 23, 2017. NIBUCAA is a coalition of the Banking, Finance, Construction, Telecommunications, Food & Beverages and some organizations in Nigeria that are committed in the campaign to see that HIV/AIDS is eradicated in the country. Speaking at the visit, the DG NACA noted that such partnership with NIBUCAA sets a path way for transparency and effective programming in the fight against AIDS. He then informed that he tends to focus on a three step approach, stating; need to rebase the national response to ascertain where the nation is based on data collection, Prevention of Mother-to-Child Transmission (PMTCT) and push for internal funding. Responding, Chairperson of the coalition Mrs. Gato Bassey, commended NACA for the work done so far in the response but however informed that a lot still needs to be put in place to re-strategize on the campaign to end AIDS. She pointed out that with the huge challenge faced by issues of stigma and discrimination, both NIBUCAA and NACA need to work in synergy to sustain the response. “NIBUCAA and NACA need to work together for a holistic approach of working so that we won’t have duplicated efforts of activities” Mrs. Bassey said. To this she stressed that there will be a centralized and unified data for HIV/AIDS. It was gathered that, the Managing Director/CEO of Access Bank, Mr. Herbert Wigwe and CEO of Total E&P Mr. Nicholas Teraz have both been appointed as new Co-chair of NIBUCAA. The visit/partnership by NIBUCAA is seen as a renewed commitment by the private sector in the national response. This will increase internal funding as well the level of awareness required to ensure that the United Nations 90-90-90 target of ending AIDS is achieved in the country.